Adding wine to your favorite recipe can add wonderful flavor—but too much or the wrong style wine can also ruin the taste of the dish. Wine contains sugars, acids and tannins and each of these tastes may be noticeable in your finished recipe. A very dry wine has very few natural sugars remaining and is usually higher in alcohol. In contrast, the sweeter wines contain a larger amount of natural sugar from the grapes. Acid is a term used to describe both red and white wines and it refers to the sharp bite in the wine (much like you would experience with lemon juice or vinegar). Acid can help bring out the natural flavors in a mild food, such as fish (this is why fish is often served with a wedge of lemon). To maintain a balance, check your recipe for acidic ingredients like lemon juice or vinegar and cut back to make room for the acid in the wine. Tannins are generally found in red wines and refers to the bitter element in the wine (similar to the bitterness you’ll find in a strong cup of tea). The tannins in red wine pair well with strongly flavored dishes and hearty foods, like steak. Use the type of wine in the recipe that you would serve with the dish you are making. Unless you’re serving a rare or expensive wine, buy an extra bottle and use it in the recipe. Generally, it’s thought that a light-flavored wine goes best with delicately flavored foods. It would follow that a bold-tasting wine might do well in a boldly flavored dish. For example, a dish heavily spiced usually needs a full-bodied red wine to stand up to it. One with a light or creamy sauce calls for a drier, light white wine. When you’re making a red wine reduction sauce, watch out for the wine’s tannins, as they can become harsh in this type of recipe. Read the bottle to find out what flavors are present in the wine, then you can be sure that it will work well with the same flavors in your recipe. The most important thing to remember is that if you like drinking it, you’ll like the flavor that it will add to your food. For deeper flavors, experiment with fortified wines like Port, Sherry, Madeira and Marsala. Here are some recipes that use wine in a variety of ways. Heat oil in a large heavy pot over medium-high heat. Add onion, season with salt and pepper and cook, stirring often, until softened, about 5 minutes. Add garlic and cook, stirring often, until fragrant, about 1 minute. Add tomato paste and cook, stirring, until it begins to darken, about 2 minutes. Add wine and bring to a boil. Reduce heat and simmer until liquid is slightly reduced, about 1 minute. Add mussels and 1/2 cup water to the pot, cover, and reduce heat to medium. Cook, stirring occasionally, until mussels open (discard any that do not open), 10–12 minutes. 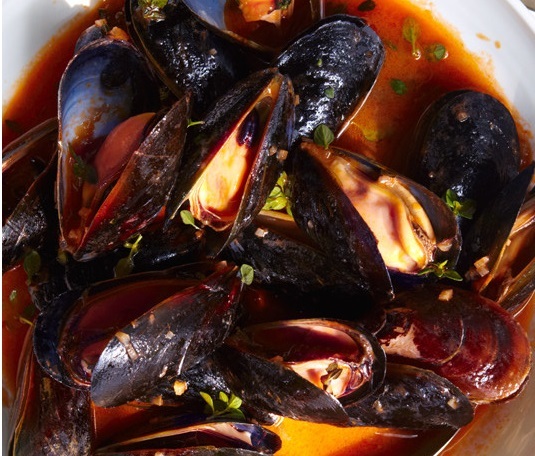 Ladle mussels and broth into shallow bowls and top with thyme; serve with bread. Purée tomatoes with juices in a blender; set aside. Cook onion, guanciale, pancetta, oil, red pepper flakes and 1/2 cup water in a large heavy pot over medium-high heat, stirring occasionally, until the water is evaporated and fat begins to render, 8–10 minutes. Add tomato paste and cook, stirring often, until beginning to brown, about 2 minutes. Add wine and cook, stirring often, until reduced by half, 5–8 minutes. Add tomatoes and bring to a boil. 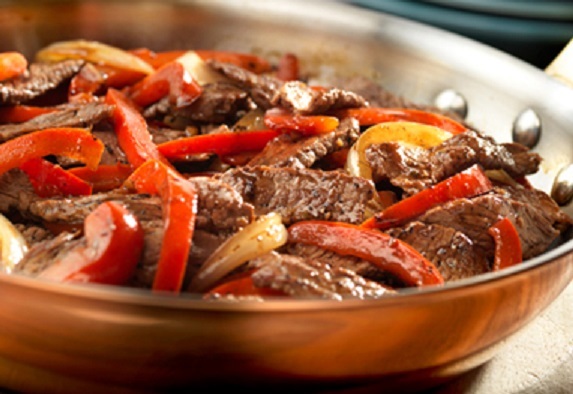 Cover pan partially with a lid, reduce heat, and simmer until the meat is tender and flavors are melded, 40–45 minutes. Add sugar and season with salt and pepper. When the sauce is almost done, cook pasta in a large pot of boiling salted water, stirring occasionally, until al dente; drain pasta. Add pasta to the sauce and toss to coat. Serve topped with Pecorino. Preheat oven to 350°F. Season brisket with salt and pepper. Heat oil in a large ovenproof pot with a cover over medium-high. Cook brisket, turning occasionally, until browned all over, 8–10 minutes; transfer to a plate. Discard the fat in the pot. Place onions, celery, garlic, thyme, bay leaves, tomatoes, tomato paste and wine in the pot and stir to combine; season with salt and pepper. Place brisket on top, fat side up. 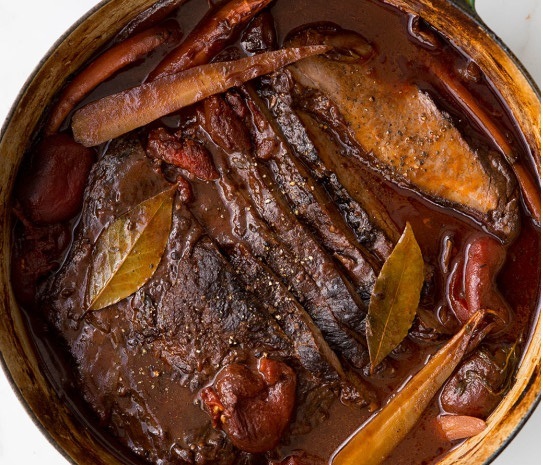 Cover the pot and braise in the oven, spooning the braising liquid over the brisket every 30 minutes, until meat is fork-tender, 3–3 1/2 hours. Uncover the pot and place the carrots around the brisket Return the pot to the oven uncovered and cook until the carrots are tender, the top of the brisket is browned and crisp, and the sauce has thickened, about 30 minutes. Skim fat from the surface of the sauce; discard. Remove brisket from the pot and slice against the grain, Serve with the braising sauce and carrots. Preheat oven to 425°F. Heat oil in a Dutch oven or other heavy-lidded pot over medium-high heat. Season chicken with salt and pepper and cook until golden brown, about 5 minutes per side; transfer to a plate. Add shallots and garlic to the pot and cook, stirring often, until beginning to soften, about 2 minutes. Add thyme and white wine; bring to a boil, reduce heat, and simmer until reduced, about 4 minutes. Return chicken, skin side up, to the pot; add broth, bring to a simmer, cover, and transfer to the oven. 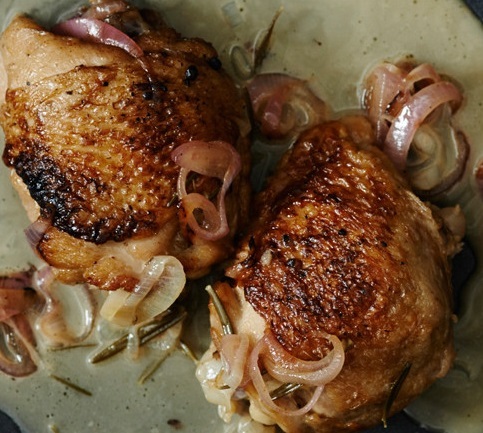 Braise until the chicken is cooked through and tender, 20–25 minutes. Uncover; continue to cook in the oven until the skin begins to crisp, 8–10 minutes longer. Place lamb on a large rimmed baking sheet; season all over with 2 tablespoons salt and generously with pepper. Mix rosemary, fennel seeds and grated garlic in a small bowl; massage into the lamb. Cover and let stand at room temperature for 1 hour or, preferably, chill overnight. Heat oil in a large wide heavy pot over medium-high heat. Add onions, season with salt and pepper, and cook, stirring occasionally, until golden, 8–10 minutes. Add minced garlic, flour, paprika and red pepper flakes. Stir vigorously to distribute flour. Cook, stirring often, until mixture becomes dry, about 1 minute. Add tomatoes and wine. 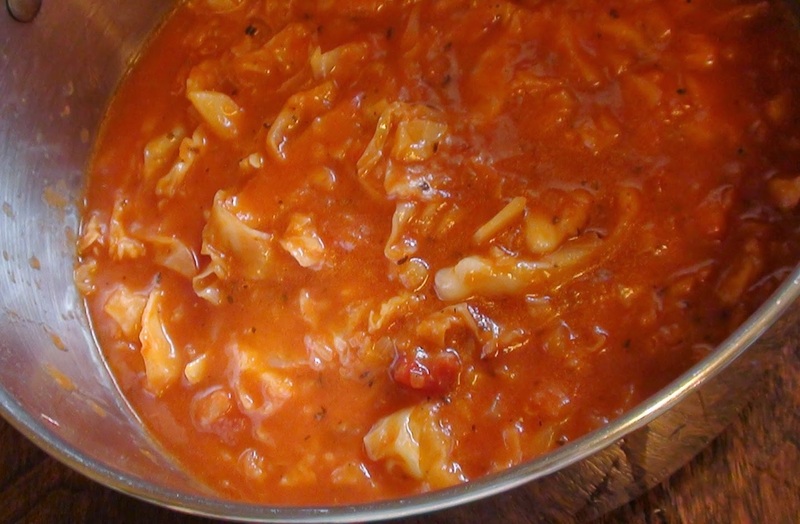 Simmer briskly, stirring often, until the juices thicken and the tomatoes begin to break down, about 10 minutes. Gradually stir in the broth. Simmer until the flavors meld, 3–4 minutes. Season to taste with salt and pepper. Add lamb shanks to the pot in a single layer, pushing them down into sauce (add additional broth if needed so that shanks are about ¾ submerged). Roast, uncovered, until the tops of the shanks have browned, about 30 minutes. Using tongs, turn shanks over and roast for 30 minutes longer. Cover and cook, turning shanks occasionally, until meat is fork-tender and almost falling off the bone, 45 minutes to 1½ hours (time will depend on size of shanks). Remove the pot from the oven and let the shanks rest in the liquid for 30 minutes. Discard any fat from the surface of the lamb shank mixture and bring to a simmer over medium heat. Cover, reduce heat to low, and simmer gently, occasionally turning shanks and stirring sauce, until heated through, about 20 minutes. 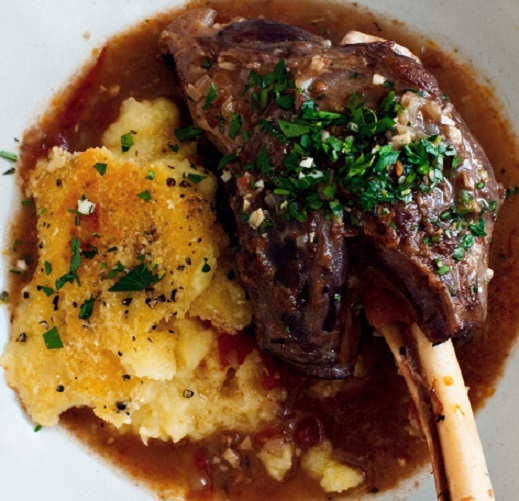 Serve the shanks and sauce with polenta or couscous. Bring the ¾ cups granulated sugar, rosemary and 1½ cups of the wine to a boil; cook, stirring occasionally, until reduced to about 2/3 cup, 5–8 minutes. Strain through a fine-mesh sieve into a small bowl. Whisking constantly, gradually add butter and whisk until smooth. Set syrup aside. Whisk cornstarch, cinnamon, the 5 teaspoons of flour and the remaining 1/4 cup wine in a small saucepan set over medium heat; cook, whisking constantly, until thickened, about 1 minute. Slowly add reserved syrup, whisking until smooth, then stir in vanilla and salt. Chill until cool, about 30 minutes. Mix pears and red wine syrup together in a large bowl. Roll out 1 disk of dough on a lightly floured surface and fit into a 9 inch pie dish. Pour filling into the crust and chill while the second crust is rolled. Roll out the remaining disk of dough to about 10 inches and cut into twelve strips. Arrange 6 strips crosswise across the top of the pie. 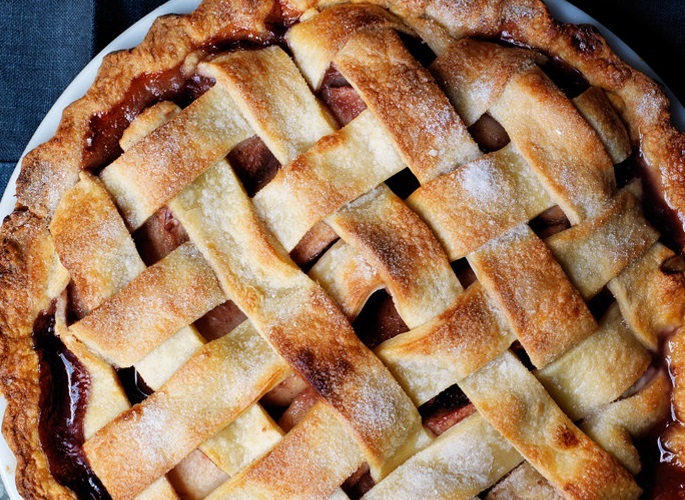 Arrange the remaining 6 strips lengthwise across the top of the pie, lifting crosswise strips and weaving lengthwise strips over and under to form a lattice. Brush the edge of the dough with the beaten egg and press ends of the strips and bottom crust together to seal. Trim strips to the same length as the bottom crust, then fold bottom crust over lattice strips; crimp edge. Brush crust with beaten egg and sprinkle with the granulated sugar. Place pie on a rimmed baking sheet and bake 30 minutes. Reduce oven temperature to 350°F, rotate pie, and continue baking (tent with foil if the crust is browning too quickly) until juices are bubbling and the crust is golden brown, 60 minutes longer. Transfer to a wire rack and let cool at least 4 hours before slicing. My favorite seafood market on the Gulf Coast. It’s a great time of year to enjoy some fresh seafood. 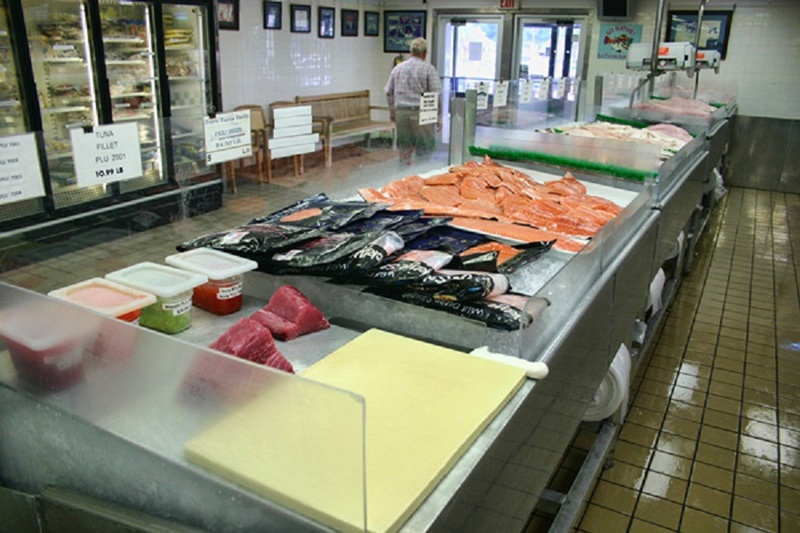 Whether you buy it fresh from the counter at your favorite market, catch your own or buy it frozen, seafood is a great addition to your summer menu. 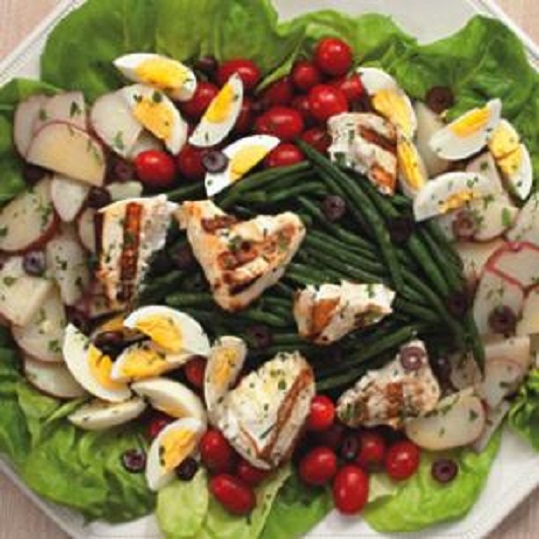 Make salad your main course by adding some grilled fish to it. Include lots of leafy greens (choose from spinach, arugula, romaine or mixed baby greens) and add tomatoes, bell peppers, cucumber and diced onion. Top your salad with a tasty homemade dressing. Bring a large pot of water to boiling. 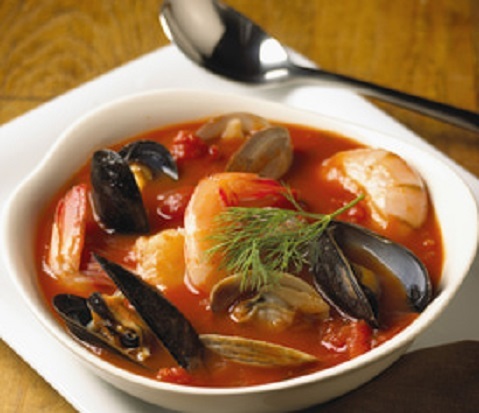 Add scallops, shrimp, mussels and calamari to the boiling water and cook for 2 minutes. Drain. Peel the shrimp and remove the mussels from their shells. 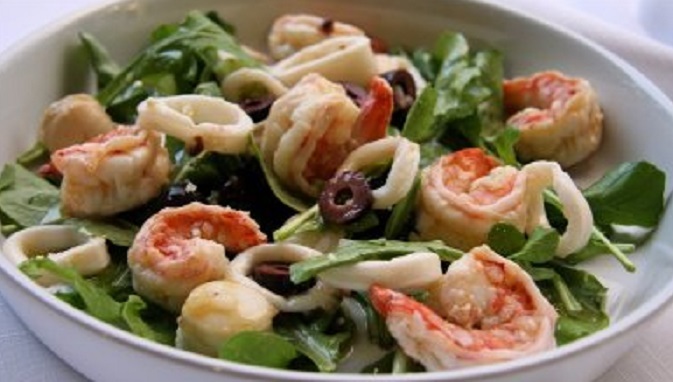 Place cooked seafood and olives in a large bowl and toss with the lemon juice, olive oil, garlic, parsley, chives and red pepper flakes. Chill for 1 hour. Divide salad greens onto 6 plates or salad bowls. Spoon seafood over greens. Garnish with slices of lemon and red onions. Season to taste with salt and freshly ground black pepper. You can use canned salmon but for really good flavor, grill extra salmon one night so that you have leftovers for this salad. Whisk lemon juice, dill, mustard, salt and pepper in a large serving bowl. Gradually whisk in the oil. Add bell pepper, cucumber, onion, lentils toss to coat. Let marinate for at least one hour or chill until ready to serve. 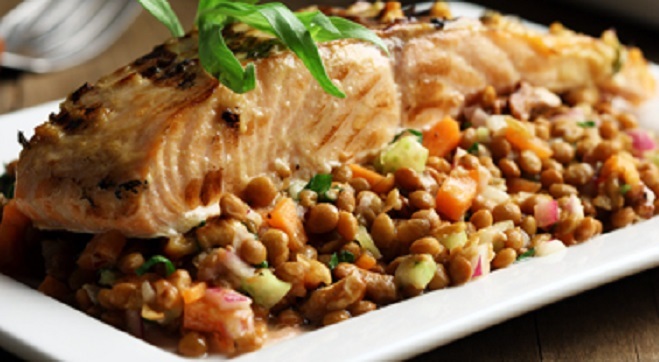 Place leftover chilled salmon on top of the salad or flake and mix in with the lentils just before serving. To cook the lentils: Place in a saucepan, cover with water and bring to a boil. Reduce heat to a simmer and cook until just tender, about 20 minutes for green lentils and 30 minutes for brown. Drain and rinse under cold water. Whisk lemon juice, oil, garlic, oregano and pepper in a large serving bowl until well combined. 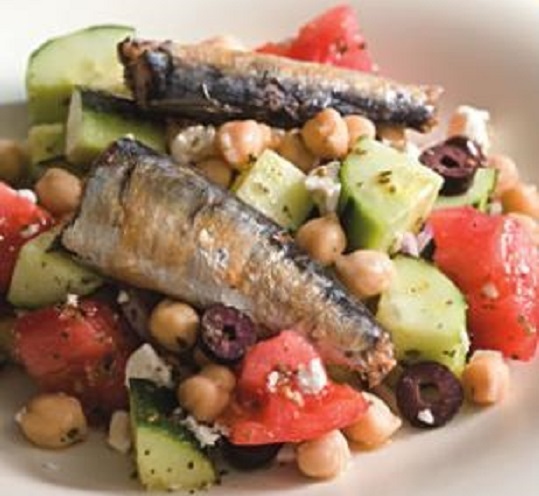 Add tomatoes, cucumber, chickpeas, feta, onion and olives; gently toss to combine. Let marinate for at least an hour. At serving time, divide the salad among 4 plates and top with sardines. Look for sardines with skin and bones (which are edible) as they have more than four times the amount of calcium as skinless, boneless sardines. If you’re lucky enough to have fresh sardines available in your market, try them in place of the canned sardines. Lightly dredge them in salt-and-pepper-seasoned flour and sauté them in a little olive oil. Using a fork, mash the garlic with 1/4 teaspoon salt in a small bowl to form a coarse paste. Whisk in 5 tablespoons oil. Add 6 tablespoons orange juice, vinegar and mustard; whisk until well blended. Taste and season with more salt, if desired. Set aside at room temperature. Cook potatoes in boiling salted water until tender, 10 to 15 minutes. Remove with a slotted spoon to a colander. When cool enough to handle, slice and place in a shallow bowl. Drizzle with 1/3 cup vinaigrette; set aside. Add beans to the saucepan and bring to a boil; cook until the beans are bright green and just tender, 4 to 6 minutes. Drain well. Place in a medium bowl and toss with 2 tablespoons vinaigrette. Combine lemon juice, 2 tablespoons oil, salt and pepper in a sturdy ziplock plastic bag; shake until the salt dissolves. Add fish and marinate for up to 20 minutes. Heat a grill to medium-high and preheat for 10 minutes, then reduce heat to medium. (For a charcoal grill, wait until the flames subside and only coals and some ash remain—flames will cause the oil on the fish to burn.) Oil grill rack. Grill the fish, turning once, until browned and just cooked through, 4 to 5 minutes per side for halibut; 3 to 4 minutes per side for bass. Fish that flakes easily requires a delicate touch to flip on the grill. If you want to skip turning it over when grilling, measure a piece of foil large enough to hold the fish and coat it with cooking spray. Grill the fish on the foil (without turning) until it flakes easily and reaches an internal temperature of 145°F. Grill extra corn to use in this salad. Sprinkle shrimp with 1/4 teaspoon salt. Heat 1 tablespoon oil in a large nonstick skillet over medium-high heat. Add the shrimp and cook, turning from time to time, just until they turn pink and are opaque in the center, about 3 minutes. chill in the refrigerator. Combine arugula, basil, corn and tomatoes in a large salad bowl. Whisk 3 tablespoons oil, lemon juice, vinegar, mustard and 1/4 teaspoon salt in a small bowl. Add to the arugula mixture along with the croutons. Whisk the dressing again and drizzle over the salad; toss to coat. Divide the salad among 4 plates. Grind black pepper over the salads and sprinkle with cheese. On a large baking sheet, spread out the bread cubes in one layer. Evenly sprinkle the Italian seasoning, garlic powder and salt over the bread cubes. Then drizzle the olive oil over the top. Using your hands, toss to combine thoroughly and then spread back into one even layer. Bake for 14 to 16 minutes or until golden brown. The croutons will harden as they cool. Saint Helena began as one of six immigrant colonies established by Wilmington developer, Hugh Mac Rae. He attracted Italian farmers to Saint Helena with promises of 10 acres and a three-room home for $240, payable over three years. St. Helena was named for an Italian queen, Elena, the wife of King Victor Emmanuel III and the daughter of King Nicholas I of Montenegro. In the Spring of 1906, eight immigrants from, Rovig, Veneto in Northern Italy, arrived. Within the year, they were followed by about 75 more adventurous individuals. The first group of immigrants cleared the wooded land for vineyards. Most of the immigrants had lived in the Italian wine country and were experienced vineyard dressers. 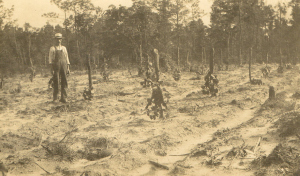 One of their first tasks was to plant fields of grapevines. They also planted crops, such as peas and strawberries. The Italian ladies made plans to open a bakery. By 1909, about 150 immigrants lived in St. Helena. The surnames included Bertazza, Yarbo, Trevisano, Laghetto, Berto, Borin, Ferro, Marcomin, Rossi, Fornasiero, Codo, Tasmassia, Rossi, Malosti, Tamburin, Santato, Ghirardello, Liago, Bouincontri, Canbouncci, Lorenzini, Garrello, Antonio, Martinelli, Canavesio, Perino, Ronchetto, and Bartolera. From this group, fifteen musicians emerged who served as the Italian Brass Band that welcomed all newcomers to the Mac Rae settlements. Most of the settlers were Roman Catholics and their first mass at St. Helena was held in a shed near the depot by the Rev. Joseph A. Gallagher in 1906. The newcomers, assisted by 2 or 3 carpenters from Wilmington, built the Church of St. Joseph. 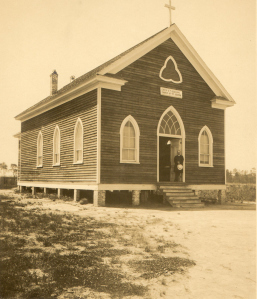 The church was held in great affection and served numerous waves of immigrants in St. Helena until it burned in 1934. Another Church of St. Joseph was constructed on Highway 17 in 1954 and it still exists today. Prohibition put an end to their wine making venture. However, another great success story originated in St. Helena. James Pecora, a native of Calabria, Italy, brought the superior Calabria variety of broccoli and other vegetables to North Carolina to create a successful produce business. This robust side dish is served as an accompaniment to meats. Place the olive oil in a large sauté pan or Dutch oven over high heat. Add the onion and sauté until they start to soften and brown. Add the cabbage and garlic, stirring to blend well. Crush the tomatoes with your hands over the cabbage and add them to the pan. Add the tomato liquid (or stock), vinegar and thyme. Season well with salt and lots of freshly ground black pepper. Bring mixture to a boil, reduce heat and cook, covered, for 30 minutes or until the cabbage is softened. Stir the butter into the cabbage. 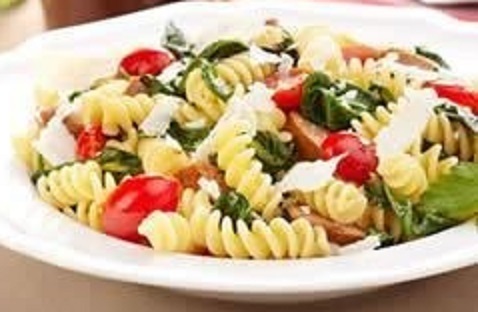 Serve with grated Pecorino Romano cheese. Giovanni Baptista Sanguinetti was a native of Genoa, Italy and immigrated to the United States in 1879. He entered the country through New York and settled in Charleston, SC. Sanguinetti, like most Italian immigrants during this period, was young. He was 25-years old. In order for Sanguinetti to fit into the Charleston community, he “Americanized” his name. Giovanni Sanguinetti became John Sanguinett. This change was reflected in the city directory and on his death certificate. Sanguinetti, a sailor by trade, worked for the Clyde Steamship Line as a longshoreman. Italian immigrants were very commonly employed as longshoremen because they were willing to work for lower wages and this created a great conflict with the locals. Many employers exploited this conflict so that they could take advantage of the Italians’ working for a lower wage. 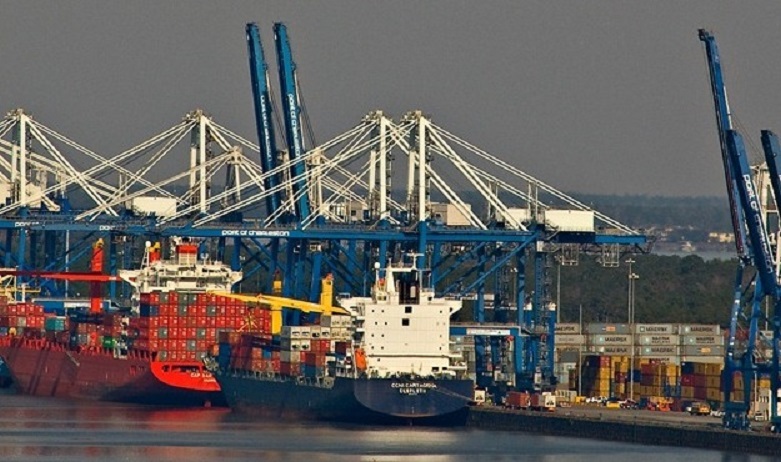 Immigrants in Charleston faced difficulties in finding housing. They were relegated to live in specific areas of downtown Charleston. They, along with other immigrants, were expected to live east of King Street and north of Broad Street. This area encompasses the current historical district, including the “market.” Giovanni lived his entire life in this area and spent most of his working life on the wharf loading and unloading ships. In Italy and the Northern US cities, Italian workers were recruited for Southern states by padroni. The padroni were Italians who were paid to recruit Italian workers. Many Italians were recruited to be tenant farmers and work the fields or work in the Southern mills. 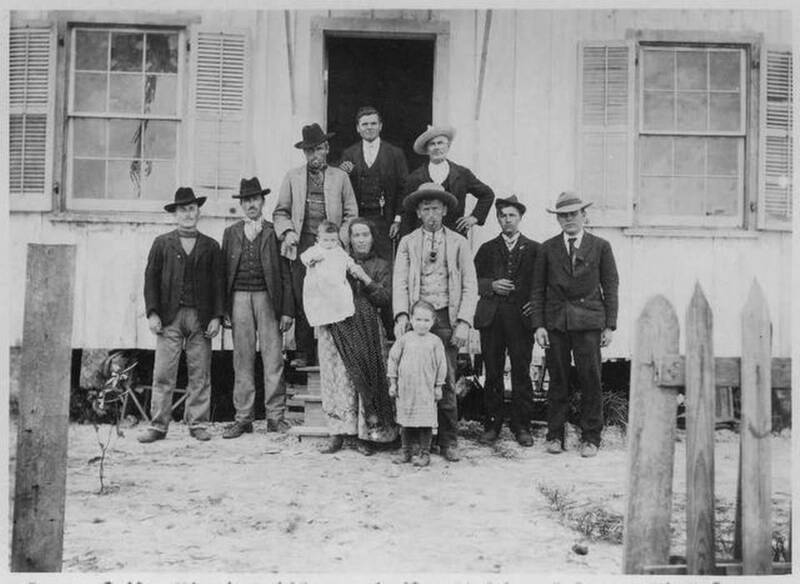 Italians were not desirable as immigrants in South Carolina. Ben Tillman, one of South Carolina’s most fervent politicians and later Governor, spoke very strongly against recruiting Italians to his state. Tillman preferred to recruit immigrants from Northern Europe. 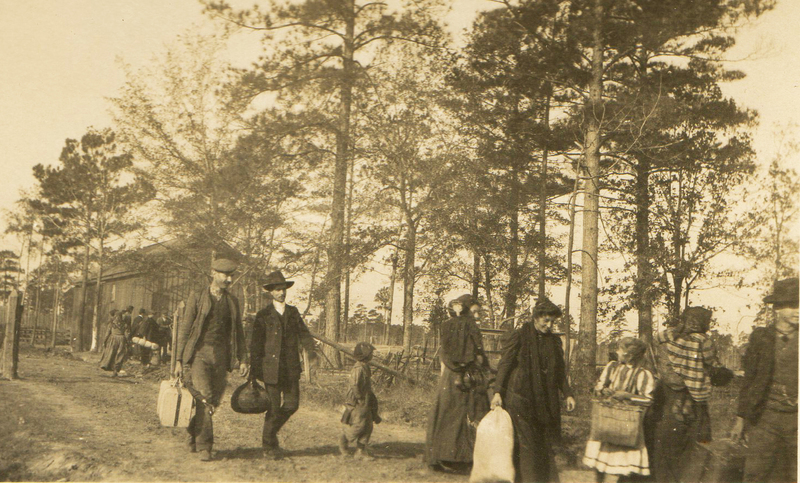 As a result, South Carolina created its own Bureau of Immigration in 1881. Nancy Noble’s vegetarian lasagna with artichoke sauce won the 2011 Lasagna Contest sponsored by the local chapter of the Sons of Italy. From the Post and Courier. Heat olive oil in large pot. Saute onions with garlic, basil, oregano, parsley and pepper flakes for 5 minutes. Add black pepper. Add tomatoes and tomato paste and season with salt. Drain artichokes, reserving marinade and set aside. Add the artichoke marinade to sauce. Simmer another 30 minutes. Cut artichoke heart pieces in half and add to the sauce. Simmer another 15 minutes. Stir in grated cheese and adjust seasonings. Preheat oven to 350 degrees F. Oil two 9 x 13 inch baking dishes. In a medium mixing bowl, beat the ricotta cheese and eggs until smooth and creamy. Reserve a few handfuls of the mozzarella to sprinkle on top of the dish. Add the remaining mozzarella to the ricotta mixture along with the parsley, salt and pepper. In a 9 x 13-inch pan, spread a thin layer of sauce. 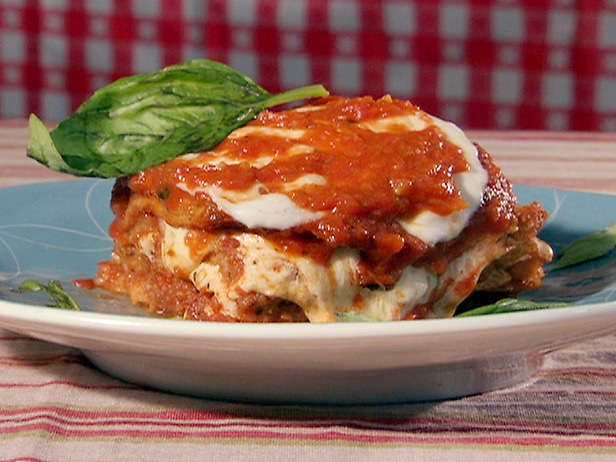 Cover with a layer of the lasagna noodles. Spread a layer of the ricotta cheese mixture. Continue layering until pan is full. Repeat with a second 9 x 13-inch pan. Top both with sauce and sprinkle remaining mozzarella on top. Bake about 30 minutes, making sure not to let the cheese brown. Let rest for 10-15 minutes before cutting and serving. Beginning in the early twentieth century, millions of immigrants entered the United States from Eastern Europe, Southern Europe and the Middle East and some of these new arrivals found their way to Georgia. In many cases, the immigrants moved into neighborhoods where friends and relatives from their home country had already settled, and established themselves as members of the community. 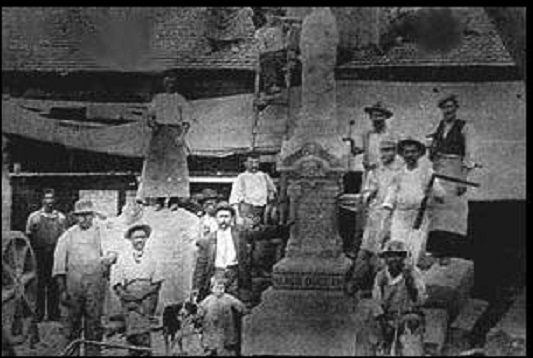 For example, Jewish Russian immigrants became prominent citizens of Columbus, Italian immigrants pursued opportunities in Elberton’s granite industry and Lebanese immigrants contributed to the growth of Valdosta. Elbert County sits on a subterranean bed of granite in the Piedmont geologic province. It was identified at the turn of the twentieth century as the Lexington-Oglesby Blue Granite Belt that measures about fifteen miles wide and twenty-five miles long and stretches into nearby counties. 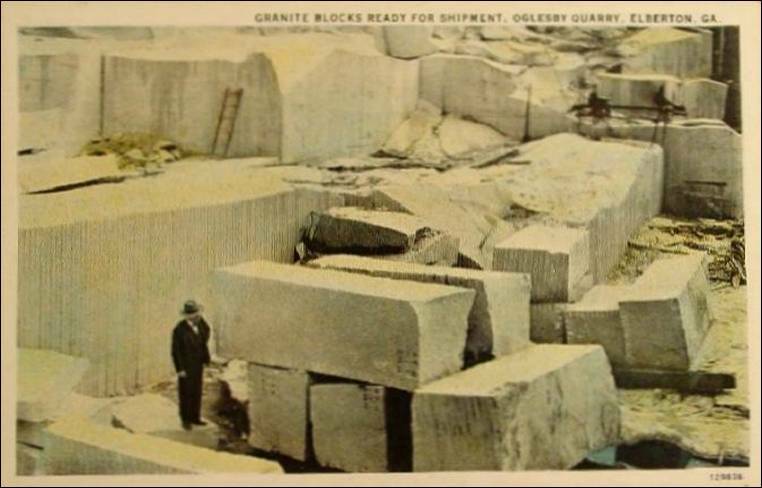 In the county’s early history, the granite was seen more as a nuisance rather than as an industry, especially for residents primarily engaged in agricultural activities. Early uses of granite included grave markers and foundation and chimney stone. In 1898 Arthur Beter, an Italian sculptor, executed the first statue carved out of Elberton granite. A small building constructed to house the statue during its completion became the town’s first granite shed. During the immigration period from Italy, skilled laborers came to Elbert County to pursue a livelihood in the granite business. 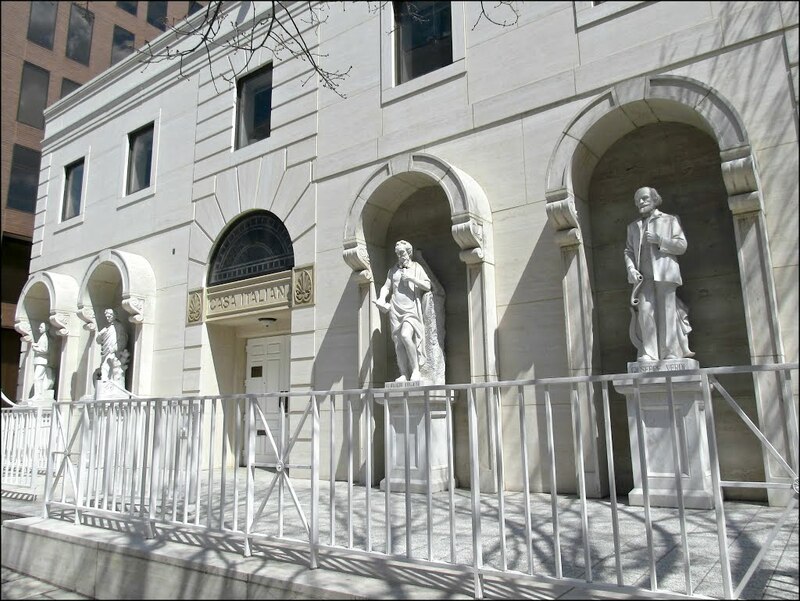 Among the many new arrivals were Charles C. Comolli, founder and owner of the Georgia Granite Corporation and Richard Cecchini, a highly skilled stone sculpturer. The industry flourished with the creation of new sheds and the opening of additional quarries in the years following. Nearly 300 baby pictures decorate Scalini’s old-fashioned Italian restaurant. All of the babies pictured on the Italian restaurant wall were born after their mothers ate the Scalini’s eggplant parmigiana. The breaded eggplant smothered in cheese and thick marinara sauce is “guaranteed” to induce labor, the restaurant claims. 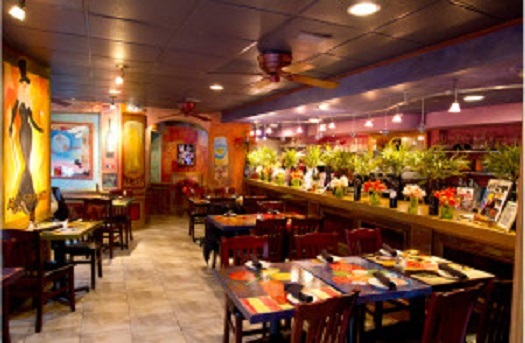 The eggplant legend began not long after the restaurant opened 23 years ago. To date, more than 300 of the pregnant women customers who ordered the eggplant have given birth within 48 hours, and the restaurant dubs them the “eggplant babies.” If it doesn’t work in two days, the moms-to-be get a gift certificate for another meal. Slice the eggplant into 1/4 inch thick slices. You may choose to peel the eggplant before you slice it. Place the eggplant slices on a layer of paper towels and sprinkle with a little salt, then cover with another layer of paper towels and hold it down with something heavy to drain the excess moisture. Let them sit for about an hour. Working with one slice of eggplant at a time, dust with flour, dip in beaten eggs, then coat well with breadcrumbs. Saute in preheated olive oil on both sides until golden brown. 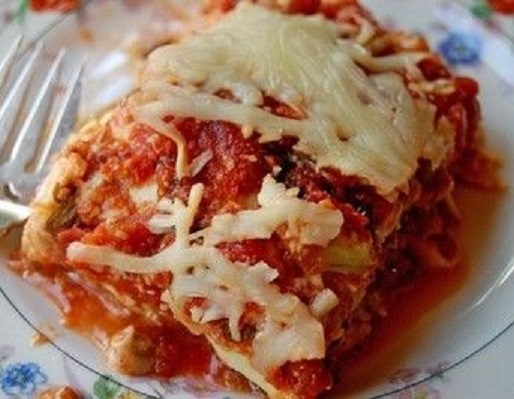 In a baking dish, alternate layers of marinara sauce, eggplant slices, ricotta, Parmesan and Romano cheeses, until you fill the baking dish, about 1/8 inch from the top. Cover with shredded mozzarella cheese, and bake for 25 minutes in a 375 degree F oven. Let sit for 10 minutes before serving. Lightly saute the onions in olive oil in large pot for a few minutes. Add garlic and saute another minute. Add tomatoes and bring sauce to a boil, then turn heat to low. Add remaining ingredients, stir, cover and let simmer for one hour, stirring occasionally. Recipe courtesy of John Bogino, Scalini’s Italian Restaurant, Georgia (scalinis.com). Julia DeForest Tuttle (1849-1898), Henry Morrison Flagler (1830- 1913), James Deering, (1859-1925) and other American pioneers were busy displaying their understanding of Italian culture as they built railways, planned a city and erected palatial estates in Miami and Southeast Florida. The hotels and the villas built in Miami replicated the symbols of status of the early modern European courts. 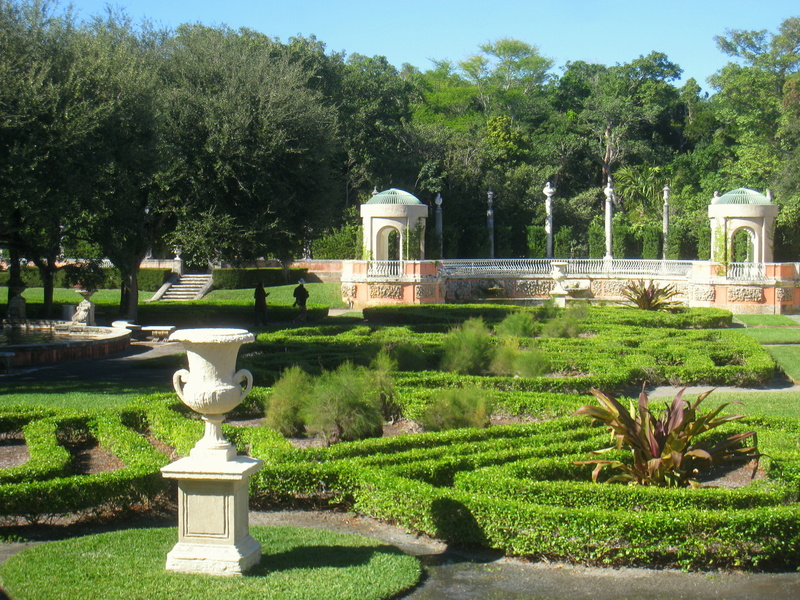 The landscape and architecture of Villa Vizcaya were influenced by Veneto and Tuscan Italian Renaissance models and designed in the Mediterranean Revival architectural style with Baroque elements. Paul Chalfin was the design director. 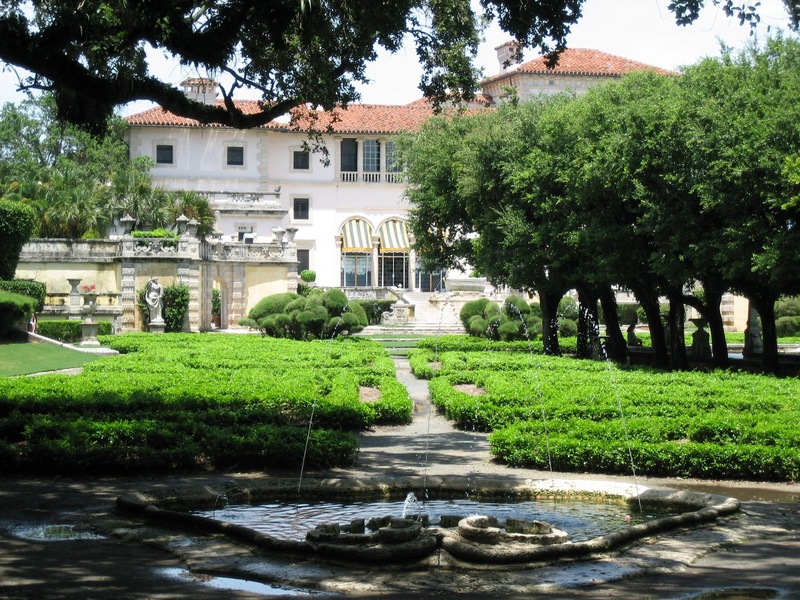 Vizcaya was created as James Deering’s winter home and, today, it is a National Historic Landmark and museum. The planning and construction of Vizcaya lasted over a decade, from 1910 to 1922. Deering modeled his estate after an old Italian country villa. This involved the large-scale purchase of European antiques and the design of buildings and landscapes to accommodate them. Deering began to purchase the land for Vizcaya in 1910 and, that same year, he made his first trip to Italy to acquire antiquities. Deering purchased an additional 130 acres of land and construction on the site began in the following year. About a thousand individuals were employed at the height of construction in creating Vizcaya, including several hundred construction workers, stonecutters and craftsmen from the northeastern states, Italy and the Bahamas. James Deering died in September 1925 and the property was passed to his relatives. 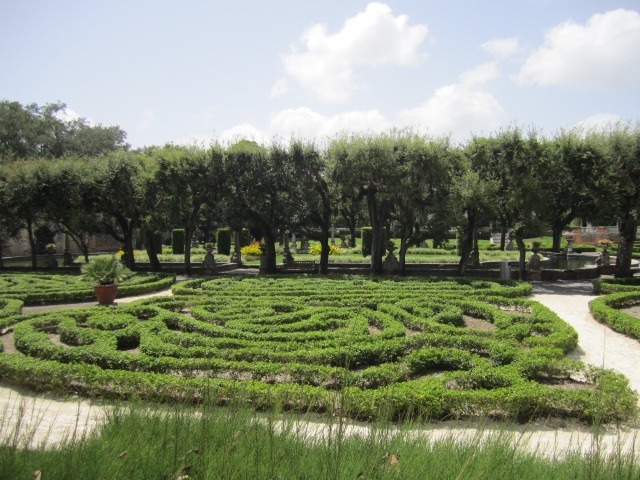 In 1952 Miami-Dade County acquired the villa and formal Italian gardens, which needed significant restoration, for $1 million. 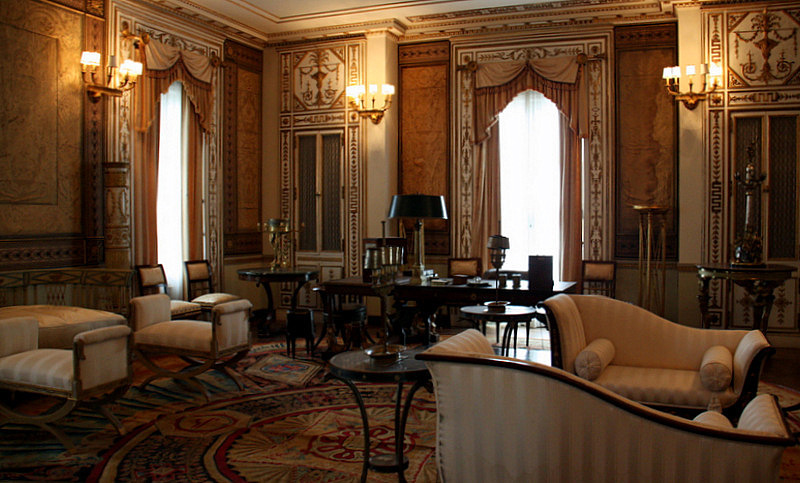 Deering’s heirs donated the villa’s furnishings and antiquities to the County-Museum. Vizcaya began operation in 1953 as the Dade County Art Museum. The village and remaining property were acquired by the County during the mid-1950s. 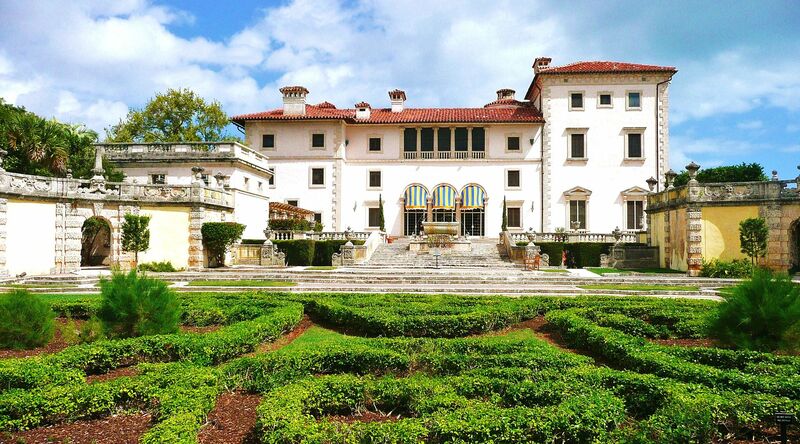 In 1994 the Vizcaya estate was designated as a National Historic Landmark. 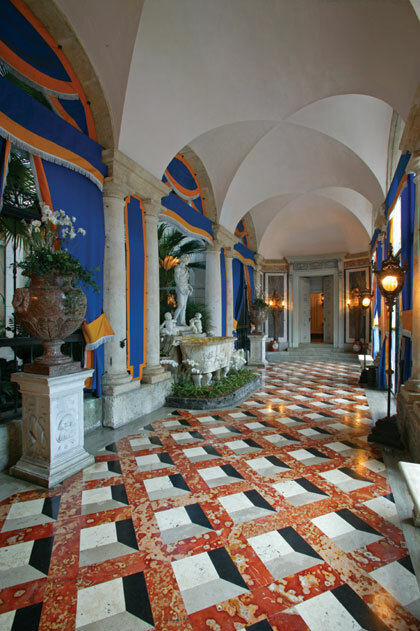 In 1998, in conjunction with Vizcaya’s accreditation process by the American Alliance of Museums, the Vizcaya Museum and Gardens Trust was formed to be the museum’s governing body. Heat olive oil in a hot pan. Add garlic, then sauté for about two minutes. Add shrimp, scallops, clams, mussels, tomatoes and kosher salt. 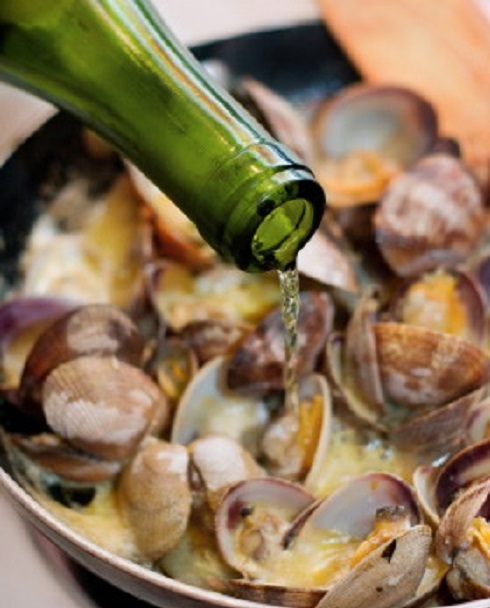 Add the wine and cover the pan to steam another two minutes.Add tomato sauce to the pan of seafood and stir. Put the fresh pasta into boiling salted water. When the pasta is al dente, drain, add to the seafood pan and mix well. Add the chopped basil, mix and divide between two pasta serving bowls. Garnish with a sprig of basil and a drizzle of olive oil. In 1882 a group of 11 Italians came to the United States from Roseto, Italy and found work in an area of Pennsylvania that later become known as the town of Roseto. 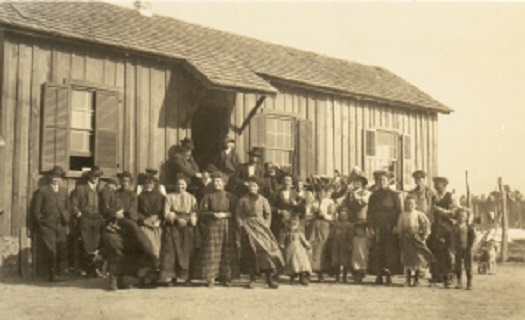 Relatives of these immigrants followed and settled in the same area. 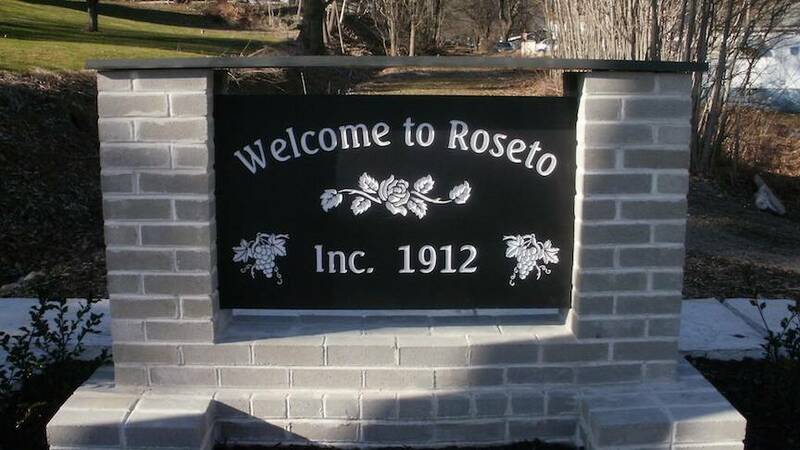 By the early 1900s the town was flourishing and a near exact replica of the Roseto, Italy they had left behind. And that was how it remained for years. By the 1950s the town was bustling with activity. The residents kept to themselves creating an Italian village similar to one in the “Old Country”. However, they didn’t necessarily stick to the “old world” style of cooking and eating. The light flatbread pizza of their homeland was exchanged for heavy bread and cheese. Sausage, meatballs and pasta were a normal dinner, biscotti and other sweets became daily treats and there was always wine. A physician and University Professor named Stewart Wolf discovered Roseto. Wolf became interested in the townsfolk when he noticed that despite their diets and struggles with obesity, no one really seemed to get sick. He conducted a study of the residents and looked at the incidence of heart disease and heart attack fatalities. He and his team took EKGs of everyone, did blood tests, collected death certificates from decades into the past and conducted exhaustive interviews with the residents. What he found was astounding. Virtually no one in the town of Rosetto died under the age of 55 from heart disease or heart attack. And the incidences of death from heart disease in men older than 65 was nearly half that of the national averages. In fact, deaths of all causes were 30%-35% lower than expected. There was virtually no alcoholism, no suicide, no drug addiction, no one on welfare and crime was practically nonexistent. There were also no occurrences of peptic ulcers or other stress related problems. The only real consistent cause of death appeared to be old age. Researchers were baffled. How did this town of sausage eating, wine drinking, overweight and happy Italians manage to escape the ill-health fate of the rest of the country? The researchers came to realize that the people of Roseto were not only very social, but very kind. They stopped in the streets and talked. They had each other over for dinner. Three generations of family lived under the same roof. They laughed a lot. Everyone knew and respected each other, especially their elders. Thus, the town of Roseto illustrated the importance of feeling good about life. Combine the garlic, olive oil, tomatoes, basil leaves, salt and pepper in a medium saucepan and simmer until the sauce thickens, 20 to 30 minutes. While the sauce is simmering, mix the ricotta, Parmigiano, bread crumbs, salt and parsley for the filling and set aside. Brown the ground beef and season with salt and pepper. Set aside. Coat a large roasting pan or lasagna pan with olive oil. 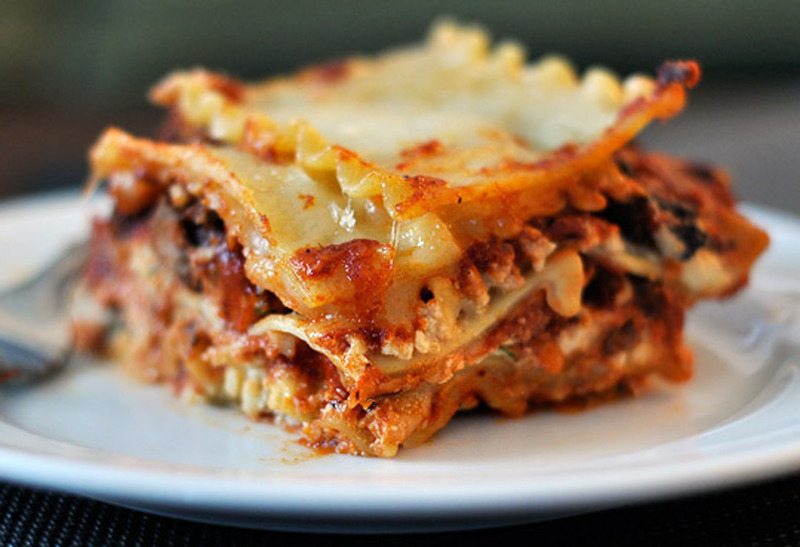 Assemble the lasagna as follows (bottom to top): mozzarella, thin layer of sauce, layer of pasta, Parmigiano, ricotta cheese filling, mozzarella, meat, thin layer of sauce and layer of pasta. Bake for one hour, covered with foil. Remove from the oven and allow to cool for 10 minutes. Slice into squares and serve. In its heyday, Seventh Avenue in Newark was one of the largest “Little Italies” in the U.S. with a population of 30,000, in an area of less than a square mile. The center of life in the neighborhood was St. Lucy’s Church, founded by Italian immigrants in 1891. Throughout the year, St. Lucy’s and other churches sponsored processions in honor of saints that became community events. The most famous procession was the Feast of St. Gerard, but there were also great feasts for Our Lady of Mt. Carmel, Our Lady of Snow, the Assumption and St. Rocco. Joe DiMaggio loved the restaurants of Seventh Avenue so much that he would take the New York Yankees to Newark to show them “real Italian food”. Frank Sinatra had bread from Giordano’s Bakery sent to him every week until his death, no matter where in the world he was. New York Yankees catcher, Rick Cerone, also grew up in the First Ward. One of the nation’s largest Italian newspapers, The Italian Tribune, was founded on Seventh Avenue. Seventh Avenue produced stars, such as Joe Pesci and Frankie Valli of the Four Seasons. Congressman Peter Rodino, Chairman of the House Judiciary Committee during its impeachment proceedings against Richard Nixon, was a native of the First Ward as well. Seventh Avenue was devastated by urban renewal efforts during the 1950s. Eighth Avenue was obliterated by the city council, scattering the Italian American residents. Most businesses never recovered. The construction of Interstate 280 also served to cut the neighborhood off from the rest of the city. Following these events some of the First Ward’s Italians stayed in the neighborhood, while others migrated to other Newark neighborhoods, such as Broadway, Roseville and the Ironbound section. 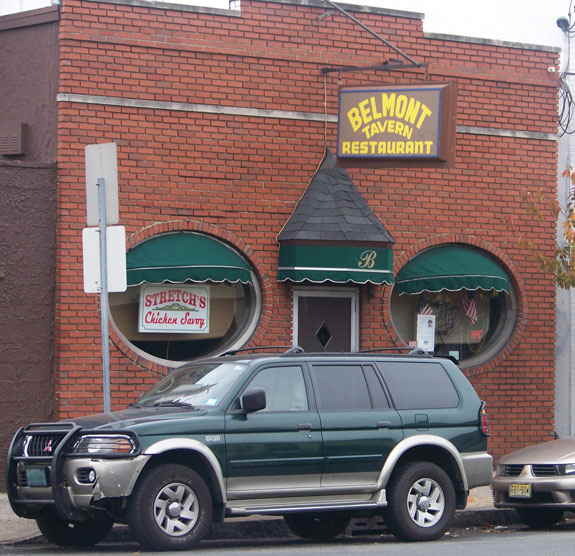 The Belmont, founded in the 1920s, moved to its current location on Bloomfield Ave. in 1965. 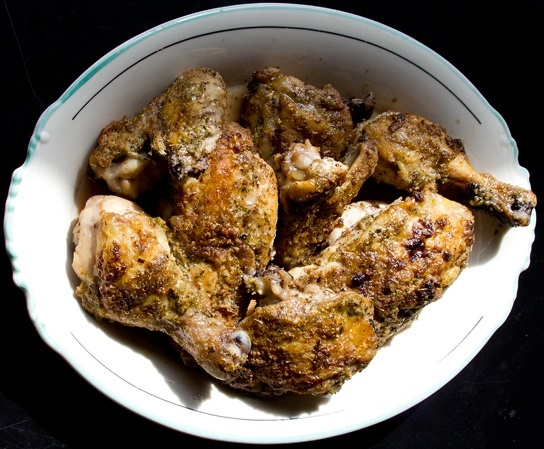 Chef Stretch has passed away, but his Chicken Savoy recipe is still a popular menu item. Celebrity spottings are not uncommon. Clint Eastwood bought the cast of his movie, Jersey Boys there while they were filming in NJ. This is a restaurant recipe and you must keep the chicken pieces well-separated in the pan. If the pan is crowded, the chicken will not brown because too much liquid will accumulate. In a restaurant kitchen, the oven goes to 700 degrees F or more, which means the juices evaporate before they have a chance to accumulate. For years the recipe was a family secret and Stretch’s daughter Annette, pulled the old, “If I tell you, then we’d have to kill you” line when Saveur Magazine came calling for the recipe. In a 10 1/2-inch cast iron skillet or other heavy, oven-proof pan, arrange the chicken pieces so that they do not touch each other, skin side down. Sprinkle the chicken with garlic, oregano, salt, pepper and grated cheese, in that order. Place chicken in a preheated 500-degree F oven for 35 minutes. Remove from the oven and pour on all the vinegar at once. It should sizzle. Return the chicken to the oven for another minute or so. Arrange chicken on a platter and pour the vinegar sauce over the chicken. Serve immediately. The “Little Italy” of Baltimore is located close to the Inner Harbor area and Fells Point, newly renovated and very popular for its great restaurants. 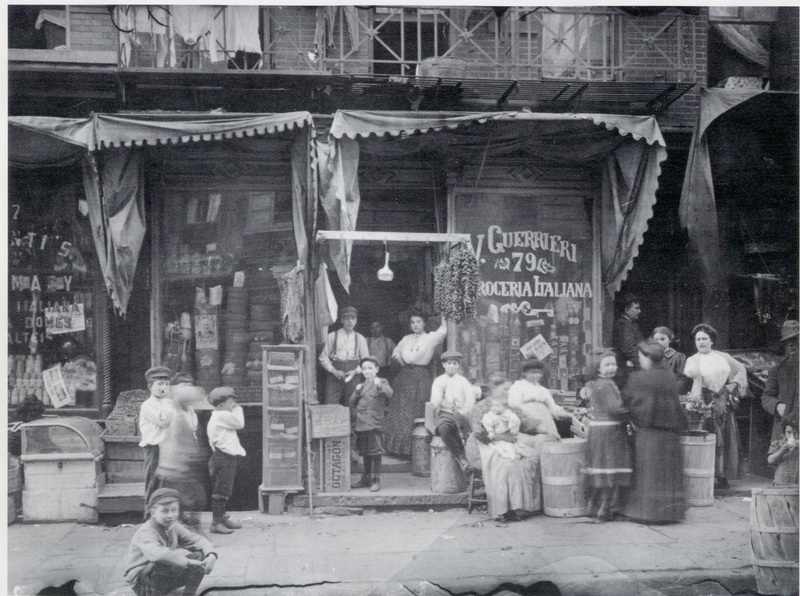 This neighborhood has been occupied by Italians since the 1890’s and still retains a large Italian community. During the warm months, the neighborhood is home to bocce games and open-air film festivals. “Little Italy” is the end point for the nation’s oldest Columbus Day parade, celebrated since 1890 and hosted by the Italian American community. 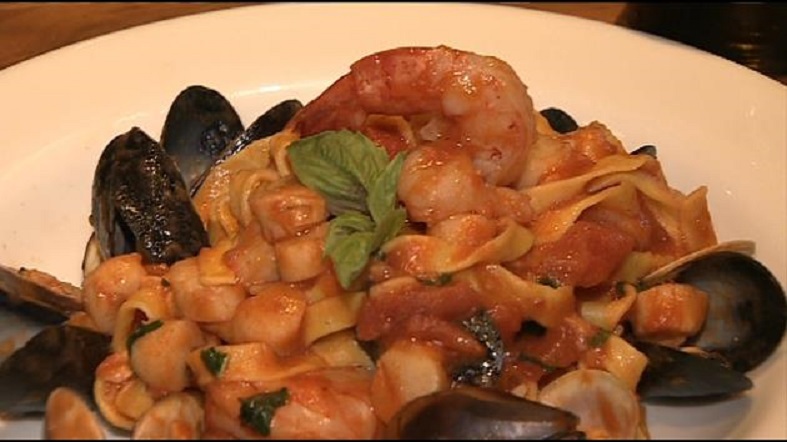 In June, Baltimore’s “Little Italy” celebrates the Feast of Saint Anthony and the Feast of Saint Gabriel in August. “Growing up, Christmas Eve was a big deal at my house,” says Chef Gia Daniella, the owner of Cafe Gia Ristorante in Little Italy. That night, her family hosted the Feast of the Seven Fishes, a grand seafood meal with Italian roots. “We always entertained and had a spread of seafood and side dishes — all Italian and Italian-American,” she recalls. “My mother is from Italy — Sicily,” she explains. “The Seven Seafoods is actually a regional tradition in the south.” The mixed seafood salad was always one of Gia’s favorite Christmas Eve dishes. The recipe below is served warm but is equally appealing when chilled, she says. And best enjoyed when surrounded by loved ones. In a large pot, combine 3 cups of water, bay leaves and crushed garlic. Slice the lemons in half and squeeze the juice into the pot, then place the lemon rind in the pot. Over high heat, bring the mixture to a boil, then reduce the heat to medium low. Add the shrimp to the pot for two minutes, then remove with a strainer and set aside in a bowl. Add the calamari to the water for 1 ½ minutes. Remove with a strainer and add to the bowl with the shrimp. Add the clams and mussels to the pot and cook until their shells open, about 2 to 3 minutes. Remove with a strainer and combine with the shrimp and calamari. Add the chopped celery. Add a dash of salt and pepper to taste and gently fold. In a processor combine the olive oil, lemon juice, garlic, parsley and capers and season with salt and pepper to taste. Gently toss the seafood with the dressing. Add another dash or two of salt and pepper. Garnish with roasted red peppers. 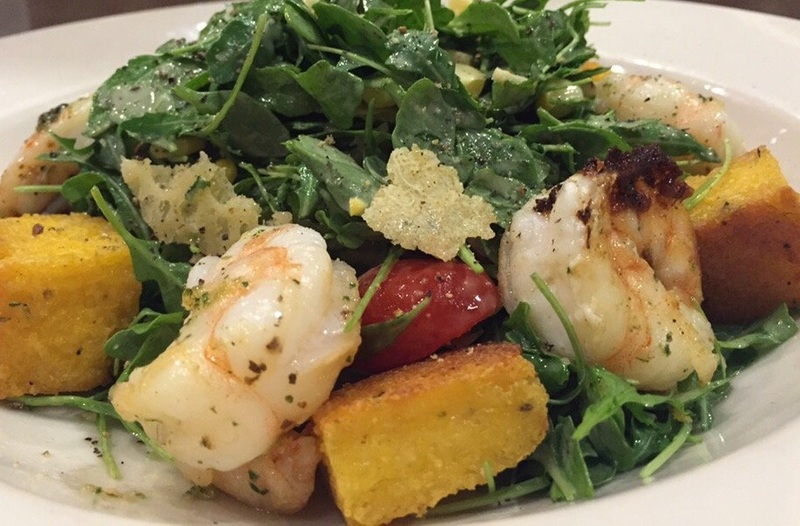 For an attractive presentation, serve over fresh arugula. Around the turn of the 20th century, the eastern side of Judiciary Square became an enclave of Italian immigrants in Washington; the equivalent of a Little Italy. The Italian neighborhood rested on the eastern edge of the square, stretching eastward to about 2nd Street NW. The heart of the community was Holy Rosary Church, a chapel built at 3rd and F Streets NW. It was a government town without mills, factories or a commercial port and there were fewer opportunities for unskilled laborers without language skills to support themselves. 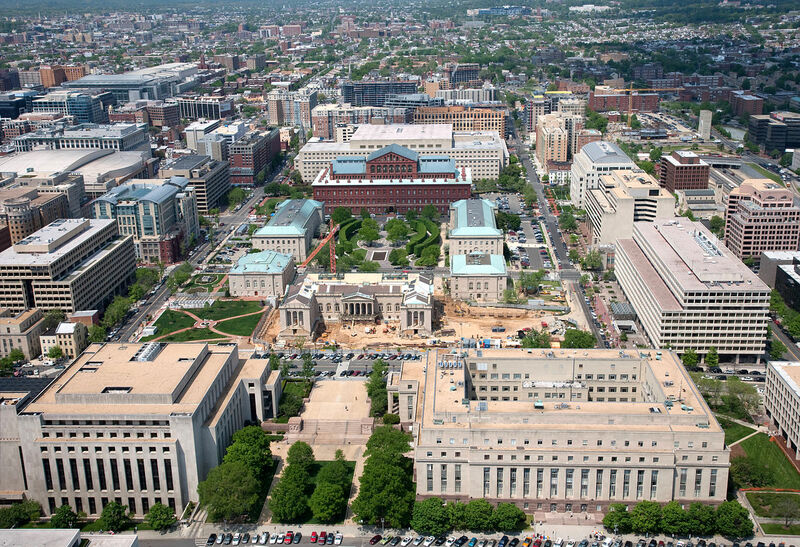 Instead, the area drew smaller numbers of skilled immigrants, such as the construction workers, artists and tradesmen, who labored on the government buildings erected in the 19th and early 20th centuries. The neighborhood grew throughout the 20th century, with an increased surge of Italian immigrants in the 1950s and 60s. However, the construction of Interstate 395 through the city in the 1970s razed about half of the neighborhood and forced its remaining residents to move away. Today, the former Italian enclave is dominated by Federal office buildings and law offices. The Holy Rosary Church remains standing, though, and continues to draw a heavily Italian congregation, along with its “Casa Italia” cultural center next door. Casa Italiana offers classes on cinema, literature, cuisine, wine tasting and majolica, the ancient Italian art of ceramic pottery, Visitors can still hear a Catholic Mass in Italian every Sunday at Holy Rosary. What sets a great meatball sub apart from all the others is the quality of its ingredients. 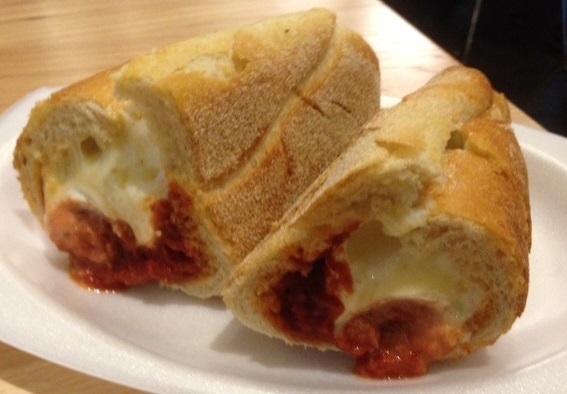 Campono’s popular sandwich is made with ricotta cheese in the meatball mixture and made in-house mozzarella and marinara sauce for the sandwich. The meatballs are neither too firm nor so tender that they fall apart. Heat the olive oil in a saute pan over medium-high heat. Once the oil shimmers, stir in the onion, garlic, dried oregano and crushed red pepper flakes. Cook just until the onion and garlic have softened but not browned; transfer to a very large mixing bowl. Combine the bread pieces and milk in a medium bowl; let the mixture sit for a few minutes so the milk is completely absorbed. Add to the large bowl with the onions, the ground veal, ground beef, ground pork shoulder, prosciutto, pecorino-Romano, ricotta, eggs, Parmigiano-Reggiano, parsley, kosher salt, freshly cracked black pepper and the soaked bread pieces; use clean hands to blend the mixture until well incorporated. Position oven racks in the upper and lower thirds of the oven; preheat to 450 degrees F. Line two large rimmed baking sheets with parchment paper. Place the “00” flour in a wide, shallow bowl. Grease your hands with a little oil. Form the meatball mixture into 65 meatballs of equal size (the size of shell-on walnuts). Coat each one lightly with “00” flour, dividing them between two parchment-paper-lined rimmed baking sheets. Roast on the upper and lower racks for 10 to 14 minutes, rotating the baking sheets top to bottom and front to back halfway through, until the meatballs are browned and cooked through. Discard any remaining flour. Use a food mill to puree the tomatoes. Discard the seeds; reserve the drained juices for another use, if desired. Heat the extra-virgin olive oil in a pot over medium-high heat. Once the oil shimmers, add the garlic, dried oregano, crushed red pepper flakes and dried oregano. Cook just until the garlic starts to brown, then stir in the tomato puree. Cook for 5 to 7 minutes then taste, and season lightly with kosher or sea salt and cracked black pepper. Stir in 6 to 8 basil leaves. Turn off the heat. Transfer 30 of the meatballs to the saucepan, turning them until coated. Cool and freeze the remaining meatballs for another time. When ready to assemble, preheat the oven to 425 degrees F.
Open the sub rolls, keeping the halves partially attached and laying them on two rimmed baking sheets. Tear out some of the inside bread to create room for the meatballs. Spread a tablespoon or two of the marinara sauce over both halves of each open-faced roll; toast in the oven for 5 to 10 minutes; keep the oven on. Line each sub roll with the mozzarella and provolone slices, overlapping and/or tearing the slices so the inside roll surfaces are covered. Place 5 sauced meatballs at the center of each sub roll; return to the oven just until the cheese melts. Close each sandwich and cut crosswise in half. Serve hot. *View Recipes From America’s Italian Communities: Part 1 here . 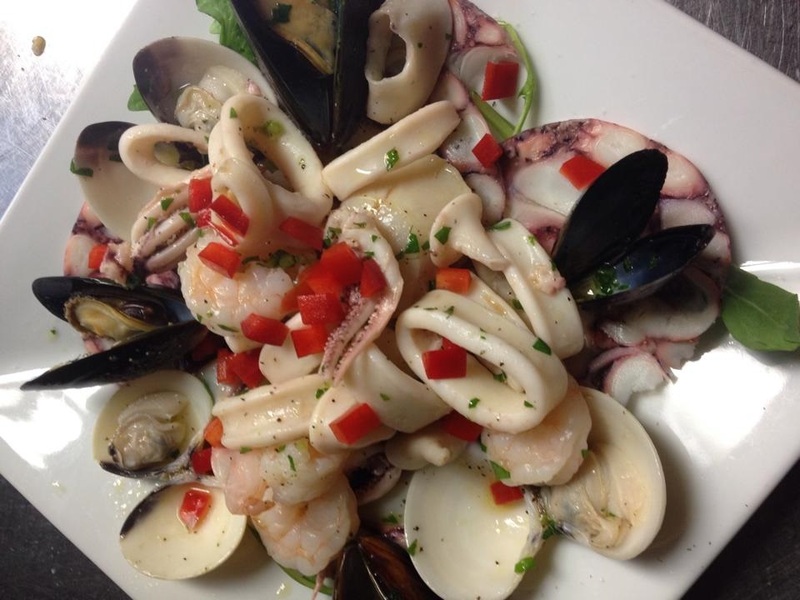 Posted by Jovina Coughlin in Beef, calamari, Chicken, clams, Fish, Healthy Italian Cooking, Italian American Neighborhoods, lasagna, Marinara, mussels, Salad, sandwiches, shrimp Tags: Baltimore, Italian American, Newark, Roseto, Washington D.C.
Buying grocery items in bulk may seem like a way to save money, but mushy salad greens in the refrigerator vegetable drawer mean wasted dollars. Here are some tips for saving time and money at the supermarket when planning fast and healthy meals for two. Avoid waste,;use the salad bar. A full container of cherry tomatoes or a whole bag of shredded cabbage may be an impractical purchase, so select just what you need or like at the salad bar. Six-ounce bags of greens, such as spinach, arugula or mixed salad greens, are perfect for serving two. The 6- or 7-ounce cans and pouches of tuna, salmon, sardines and crab are the right size. If you need shrimp, buy peeled frozen tail-on shrimp in 2-pound bags. Since the shrimp do not stick together in the bag, you can take out what you need when you need it, without having to defrost the whole amount.. If your local supermarket only sells prepackaged meats and you have a small freezer, ask the meat department to give you just the amount you need. One 14-ounce can of chicken or beef broth works well when making soup for two. When you only need a small amount of broth for a recipe, use a low-sodium bouillon mix. Cooking rice in leftover broth gives it great flavor. 8-ounce cans of regular and no-salt-added tomato sauce are just the right size to have on hand for dinner. Small drink boxes of 100% juice are convenient for making sauces and salad dressings, without a lot of extra juice left over..
Buy smaller servings of dairy products—pints of milk, 6 and 8 ounce containers of yogurt, 4 ounce containers of cottage cheese and 3 ounce blocks of cream cheese to avoid spoilage after these packages are opened. So, you find a recipe that sounds good, but the yield is “four to six servings.” How do you get to amounts for two servings? Divide the ingredients by four? By six? In half or make the full amount and hope that the leftover portions are good reheated? Instead think about what the portions are per serving for a particular ingredient. If you’re looking at a recipe for pasta, and you know that your preference is for two ounces each, look at how much pasta the recipe calls for. Twelve ounces? 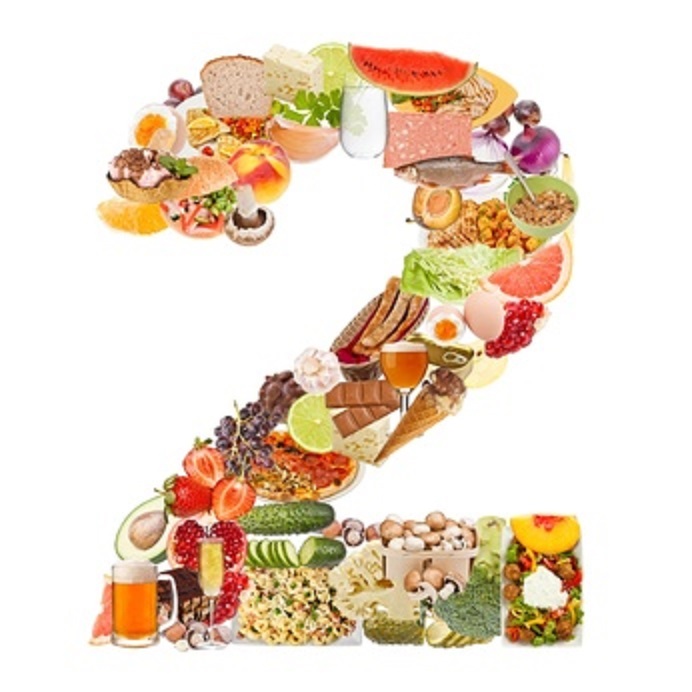 Then your starting point is to divide by three for two servings. 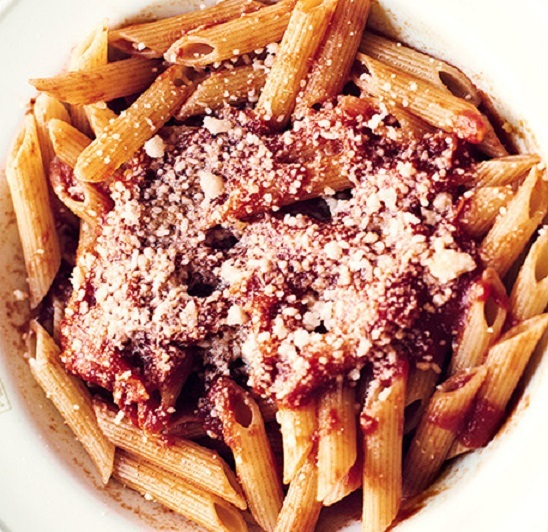 Sometimes there are two or more main ingredients to a recipe – pasta and a sauce or meat and vegetables – in which case you want to think about portion sizes for all the elements. Sauces are particularly difficult to make in small amounts without ruining the overall flavor. I often cut the sauce for a dish that serves 6-8 in half rather than try to reduce it further. I know that I’ll probably have more than we need, but it’s usually an easier reduction without ruining the flavor of the sauce. I can often freeze the extra or use it later in the week for another dish. It is also helpful, if you develop a file of recipes that serve just two. I will help you out by sharing the following recipes. 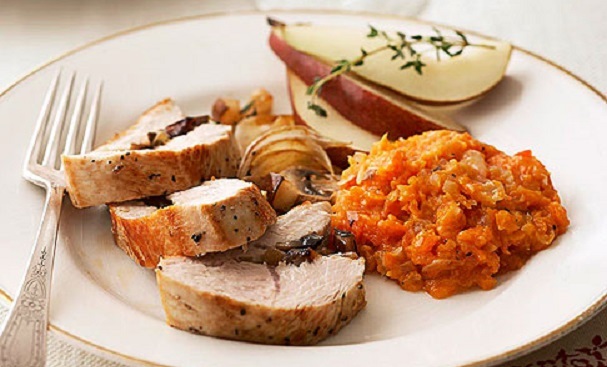 This dish goes well with mashed sweet potatoes and a green vegetable. Serve the leftover pear on the side. In a large nonstick ovenproof skillet, cook onion, covered, in 2 teaspoons of the oil over medium heat for 10 minutes, stirring occasionally. Uncover and add mushrooms. Cook for 5 minutes. Add chopped pear and thyme. Cook for 3 to 5 minutes or until pear is just tender, stirring occasionally. Remove from heat and set aside. Using a sharp knife, cut a large pocket in the side of the turkey or pork tenderloin by cutting horizontally into the tenderloin, but not all the way through to the opposite side. Spoon cooled onion mixture into the pocket. Secure opening with wooden toothpicks. Sprinkle top of tenderloin with salt and pepper. Carefully wipe out the skillet. Add remaining 1 teaspoon oil to the skillet; heat over medium heat. Add stuffed tenderloin, top side down, to hot skillet. Cook for 5 minutes or until browned. Turn tenderloin. Roast, uncovered, in the oven about 20 minutes or until no longer pink (165 degrees F). Cover with foil and let stand for 5 minutes. Slice to serve. Meanwhile, heat 1 tablespoon oil in a large saucepan over medium-high heat. Add fish filet and scallops; cook, stirring once or twice, until just opaque, about 2 minutes. Transfer to a plate and cover with foil to keep warm. Add the remaining 1 tablespoon oil and onion to the pan and stir to coat. Cover, reduce heat to medium-low and cook, stirring often, until lightly browned, 5 to 7 minutes. Uncover, increase heat to medium-high, add Italian seasoning, paprika to taste, salt and pepper; cook, stirring, until fragrant, about 30 seconds. Add wine, stock or water and tomatoes; bring to a simmer. Reduce heat to maintain a simmer and cook, stirring often, until the onion is tender, 6 to 8 minutes. Add the fish, scallops, shrimp and mussels or clams, potatoes and capers, return to a simmer and cook until heated through, about 2 minutes. Garnish with parsley. To make this dish vegetarian, leave out the sausage and add one 8-ounce can chickpeas, drained and rinsed. Heat with the arugula and tomatoes. Meanwhile, cook sausage in a large nonstick skillet over medium-high heat, breaking it into small pieces with a wooden spoon, until cooked through, 2 to 4 minutes. Stir in garlic, arugula or spinach and tomatoes. Cook, stirring often, until the greens wilt and the tomatoes begin to break down, 1 to 2 minutes. Remove from the heat; cover and keep warm. Combine cheese, pepper and salt in a serving bowl. Whisk in 2 tablespoons of the pasta cooking liquid and the olive oil. Drain the pasta and add it to the serving bowl. Toss to combine. Pour the sausage-arugula mixture over the pasta and divide into two serving bowls. Sprinkle the chicken with the sage, 1/4 teaspoon salt and the pepper. Place flour in a shallow dish. Dredge chicken in flour. Heat the oil in a nonstick skillet over medium-high heat. Add chicken; cook 4 minutes on each side. Add wine; cover, reduce heat, and simmer for 20 minutes or until a meat thermometer registers 180°. Place the cornmeal and 1/4 teaspoon salt in a 1-quart casserole. Gradually add water or broth, stirring until blended. Cover dish and microwave at high 12 minutes, stirring every 3 minutes. Let stand, covered, 5 minutes. Remove chicken from the skillet. Add tomatoes to pan; cook 1 minute. Stir in lemon juice and prosciutto. 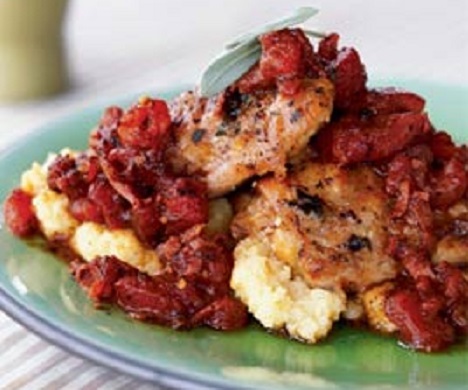 Spoon polenta onto two plates, top with chicken and pour the sauce over the chicken. Garnish with fresh sage sprigs, if desired. Serve with egg noodles tossed with parsley and a drizzle of extra-virgin olive oil. Rub steak with fennel seed and 1/4 teaspoon salt, turning to coat on all sides. Heat oil in a large skillet over medium-high heat. Add the steak in a single layer and cook, turning once, until browned on the outside and still pink in the middle, about 2-3 minutes. Add garlic to the pan and cook, stirring constantly, until fragrant, about 30 seconds. Add 1/2 cup broth and wine, scraping up any browned bits with a wooden spoon. Add bell peppers, oregano, the remaining 1/4 teaspoon salt and pepper; bring to a simmer. Cover, reduce heat to maintain a simmer and cook until the peppers are tender-crisp, 4 to 6 minutes. Whisk the remaining 1/4 cup broth and flour in a small bowl. Add to the pepper mixture, increase heat to medium-high and bring to a simmer, stirring constantly. Return the steak to the pan. Adjust heat to maintain a slow simmer and cook, turning the meat once, about 2 minutes to heat. Serve over cooked noodles, if desired.